Our days in San Antonio went by in a blur. Two nights is a luxury on this fast trip east, but that still only gave us one full day for all the little myriad chores of living that don’t work well in a rolling vehicle, while still trying to see something of the place we are visiting. 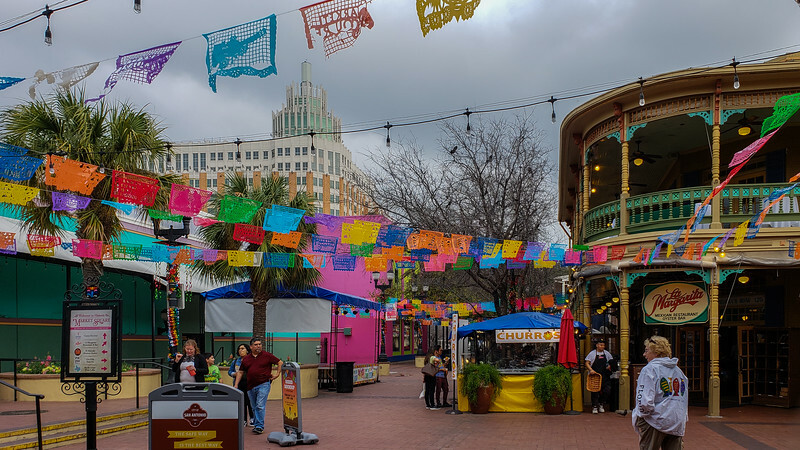 As I mentioned in the previous post, we wanted to make our way downtown to the Historic Market Square, the Mercado, touted as the largest if not the oldest Mexican market outside of Mexico. There are dozens of shops and stalls and a lot of “stuff”. The camp host, Baker, was extremely helpful with maps of how to exit the base and get to the proper freeways to get downtown with as little trouble as possible. It still was a bit crazy making, because her maps had names that weren’t showing up on google, and the street signs were all but invisible. It didn’t help that when we managed to get going in the wrong direction, when we turned around to find our way, we ran into a ton of construction and the main one way roads closed and detoured. Eventually we made our way to the parking structure just west of the Mercado, paid our ten bucks parking and easily found our restaurant. 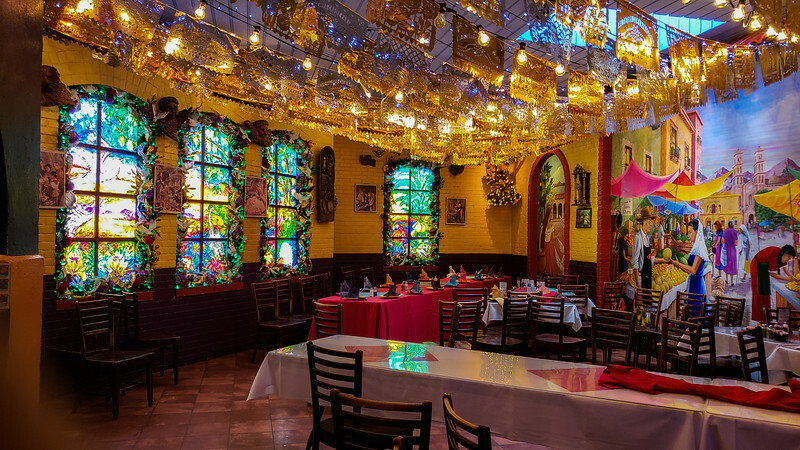 I am sure there is better Mexican food in a lot of restaurants around the Southwest, but you cant beat the ambiance and the decor. The food was pretty darn good, too. We sat with my marguerita and Mos wine and opened up the blog to try to remember the last time we were here in 2007, the year we bought the MoHo in New Braunfels, Texas. Our reading led us to the hysterical description of our first night in the MoHo, and we were laughing so hard I am sure people thought we were crazy. 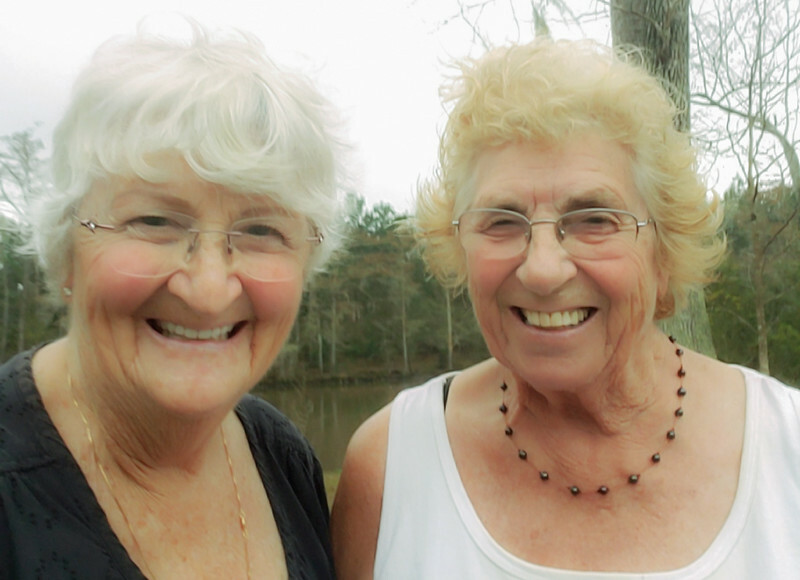 If you want a good laugh, read this account of two newbies with their first fancy motorhome. It really IS funny. 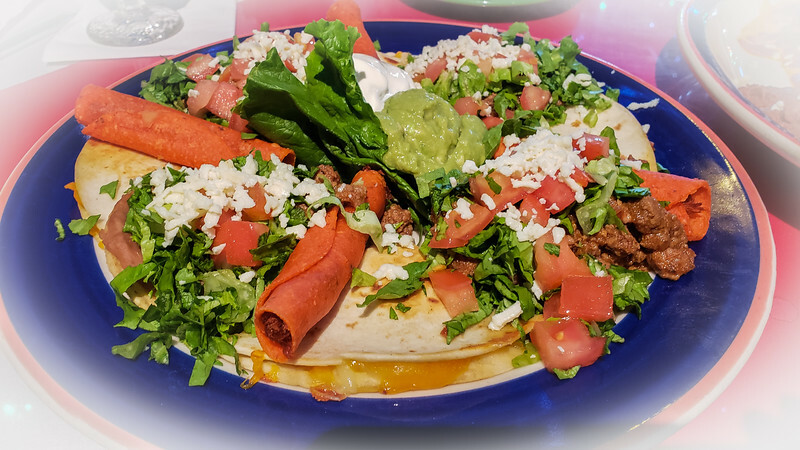 In the midst of the laughter, our meal was delightful, with lovely flavors and the sound of strolling mariachi musicians wandering around the restaurant. Yes, campy and touristy, but still fun. After our mid afternoon dinner we wandered the market where we found the our little goodies. We weren’t shopping for anything in particular, but we still got caught by some very nice number tiles and a wrought iron holder for Sunset House, and we both fell in love with some half price Christmas bells made from dyed cornhusks. A fun addition with a nice memory to go with it for the holidays. Nice and small so they don’t take up much space in the Tracker as we make our way across the country and back. With Baker’s directions, 2 paper maps, and google maps, we managed to get back on base through the maze of freeways without too much difficulty. We made sure tanks were dumped again, the car was hooked up and ready to go, and we were completely ready for our next travel day toward the east. 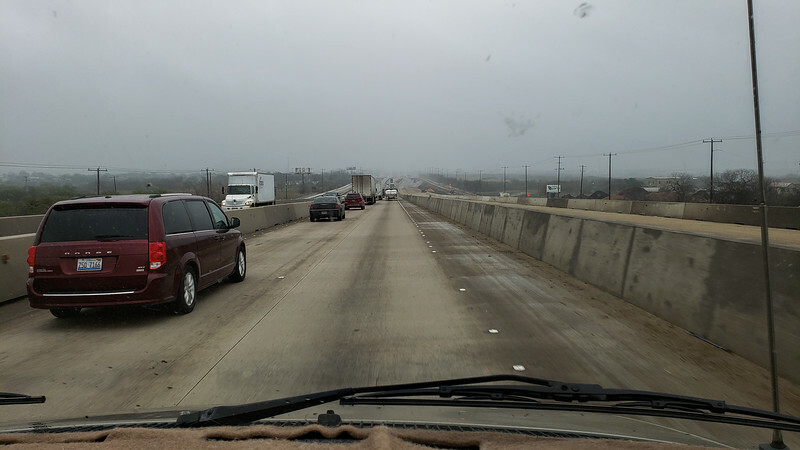 Leaving San Antonio wasn’t too horrible except for the truly horrendous construction zones, horribly bumpy pavement, and narrow uneven lanes. Stressful to say the least! Even when the traffic lessened, the rough roads and side winds made the drive less than fun. 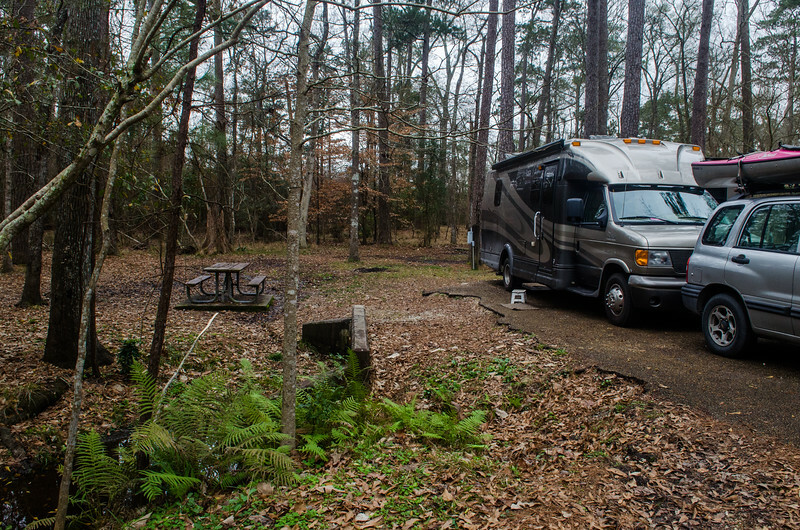 We were glad that we had a destination with a place to be when we rolled into the Sam Houston Jones State Park in Lake Charles, Louisiana. The park is a few miles from the Interstate, but there are very good signs pointing the way, even though it feels as though you are wandering off to nowhere. Also, on a side note, fuel is still incredibly cheap. In Louisiana, the cheapest fuel is again 87 octane and we have been filling the MoHo at $1.86 per gallon in most places. When we stayed at this park on our eastward route in 2014 (blog link here) the skies were blue and we had a wonderful time hiking the trails along the river, enjoying our campfire and letting the dog and cat run around our campsite. This trip we only planned a single night, and the weather was rather iffy, with dark clouds and threatening rain. We settled in to the same site we had five years ago, and right away before it got too late, took the dog for a walk along the river. The park is quite lovely, a hidden surprise a few miles north of the interstate, in the forest. 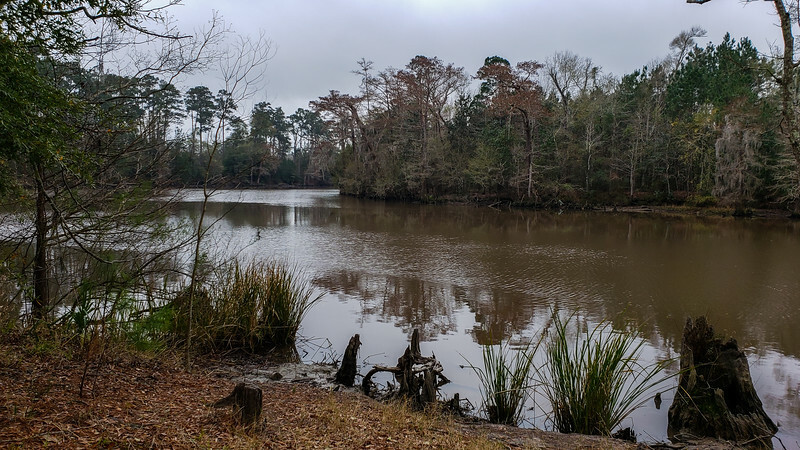 The state park is working diligently to restore the native long leaf pine forest that was almost completely decimated in Louisiana in the past century. It was a quiet and lovely evening with the temperatures in the low 70’s , and we were serenaded by the lovely music of frogs and crickets. Yesterday, on Thursday the 7th, we were on the road by 8:30. It was to be a reasonable day of driving, with just 340 miles or so along I-10 to Gulfport, Mississippi. I had originally reserved space for us at Keesler AFB Family Camp, but the more I read the more I began to worry about that choice. I re-read Erin’s blog about their stay at Shields, where she also mentioned the difference between the two campgrounds, re-read the reviews of Keesler, and when I woke up Thursday morning, I made a call to Shields at exactly 8am. Somehow we got lucky, and there was one space available for two nights. I made the reservation, canceled our reservation at Keesler, and we continued on our eastward route much relieved that we avoided shooting ourselves in the foot. 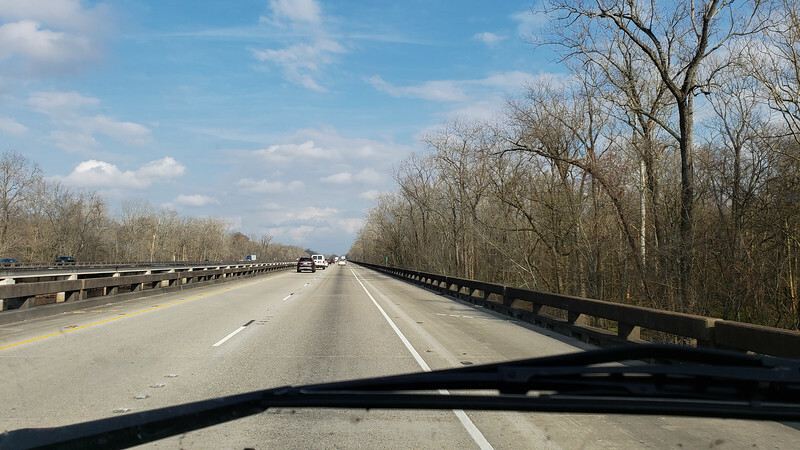 I drove first, and before long, after a LOT of bumpy pavement again, we entered Lafayette. We had decided that we needed to purchase a surge protector for the rig, and decided to stop at the Camping World in that area. I cannot begin to describe the kerfuffle of trying to find that dang place, and I even called the store and spoke to someone who couldn’t figure out where I was and couldn’t seem to tell me how to get there. 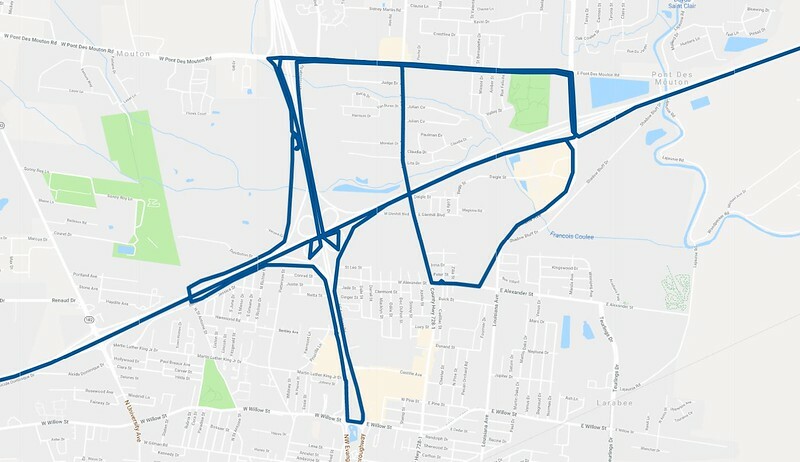 If you want a real laugh, look at this image from my google timeline that shows the circles we drove trying to find Camping World. After a few short words between us, which doesn’t happen often, we gave up the search, got back on the freeway, and continued east. I was looking forward to visiting the Atchafalaya Visitor Center near the long bridge that traverses the Atchafalaya Basin, another repeat of a previous visit, but this time all the updates and construction should be well completed and the place is so pretty I didn’t want to miss it. Well, then it happened. The Blowout. Quite the adventure. I remember moving from one RV to another, too many times. Hmmm ... never heard of the Mercado, or if I did, I didn’t pay too much attention. Too bad as that restaurant looks great ... and I love the mural on the wall. Like I didn’t have enough catching up to do with your more current posts, I had to go read about your MoHo moving day. Hysterical is right and I can see why you were laughing so hard now ... but maybe not back then. We’ve already started packing what we don’t need now and the belly of the Phaeton is filled with boxes. Luckily, a lot of small, loose stuff is already in plastic drawers that can be moved as is. Hopefully this pre-planning will make moving day a bit easier ... 10 days to go. So glad you were able to get into Shields for your stay. I can still visualize the jumble of what was supposed to be campsites at Keesler (so glad we didn’t stay there) ... one of the worst we have seen during our travels. 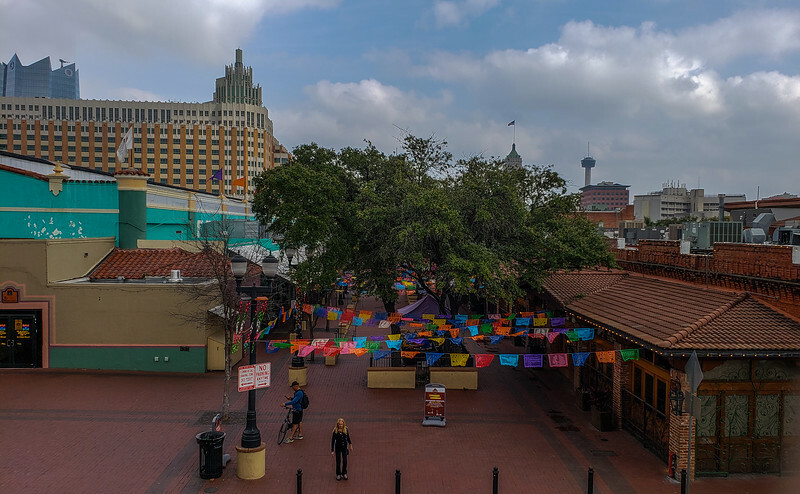 I have no idea how we found the Mercado, but I think it was listed as one of the "ten best things to do" in San Antonio back in the day. So glad your packing is going well. Nice to have time to make sure things are all organized.